Victorian diamond brooches came with different settings, so they could be worn separately or together as a tiara. Art Nouveau brooches could also serve multiple purposes. 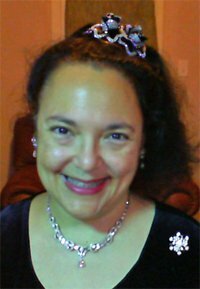 Indeed, some were designed as a tiara and ended up as a brooch. Such is the case with this bee-and-flower ornament designed by Rene Lalique in 1905/6. A pencil-and-ink watercolor on paper of a tiara topped with this ornament resides in the Lalique Museum Collection in Paris. 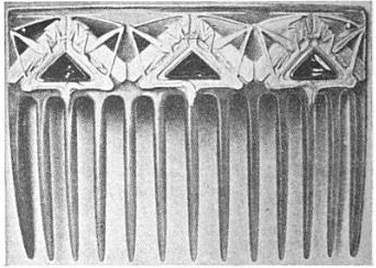 However, during the design process, Lalique might have changed his mind. 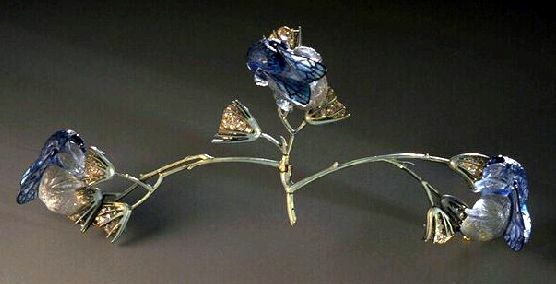 When the piece was finished, it was fitted to be a brooch or corsage ornament. 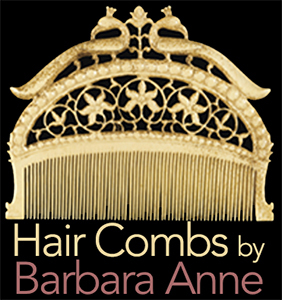 Lalique used gold, translucent enamel on gold, cast glass, and brilliant-cut diamonds. He created part of a tree, where the branches attach to the center. 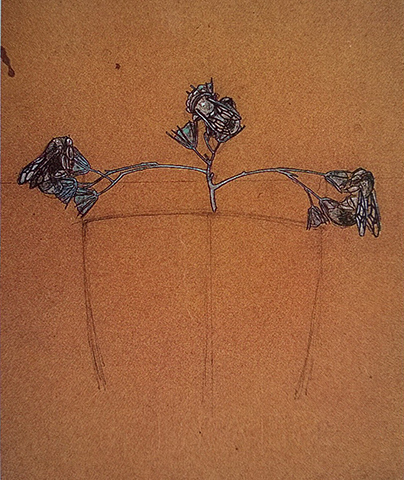 The piece resides in the Musée des Arts Décoratifs, Paris, and is also dated 1905/6. Like the Japanese, Lalique embraced the insignificance of human beings in nature, giving animals, insects, plants, and trees more importance. His Symbolic designs stretched bare tree trunks to create a wooded network for the stories he was trying to tell. 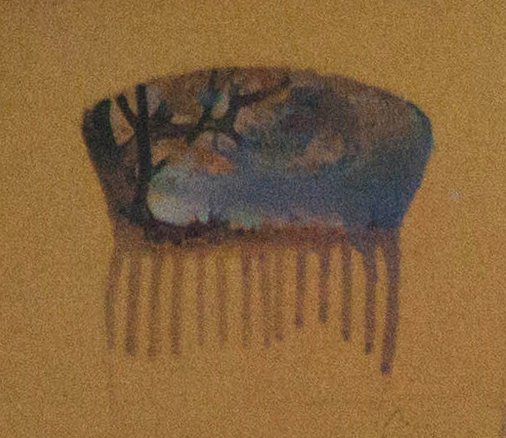 The wooded lake at Clairefontaine inspired this study for a comb. Tree trunks border a watery landscape. A leafy mass provides shade. The plants are detailed. There is depth of field, and branches reflect on the water. 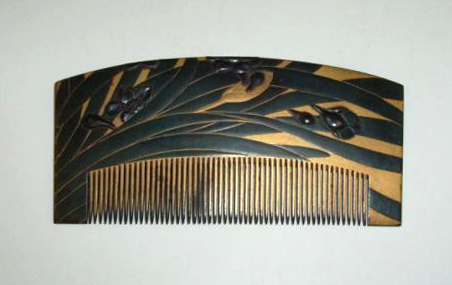 His “Tree Branches” comb was made from carved horn with a patina, c. 1900/1. 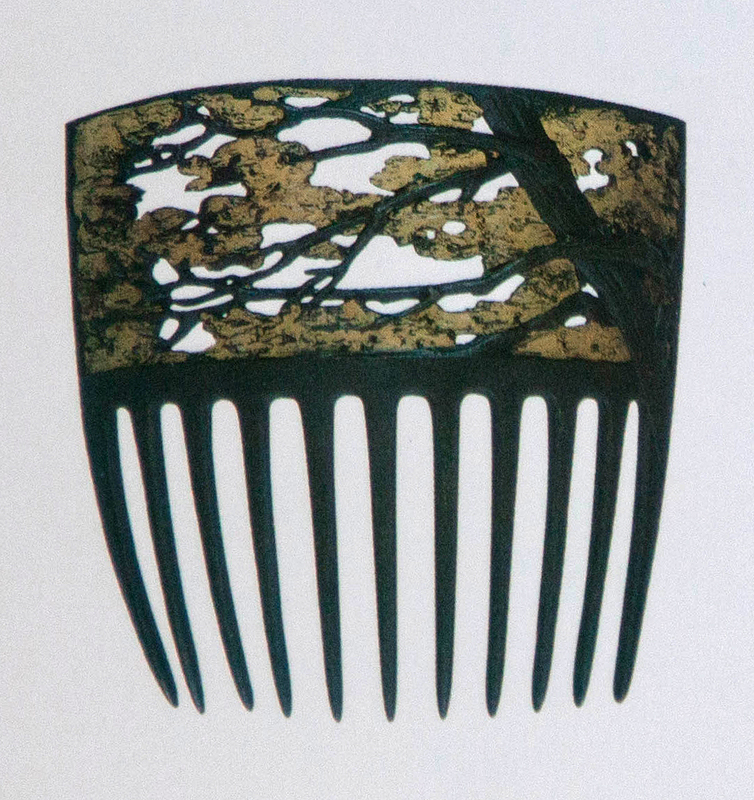 Indeed, one can see a Japanese influence when viewing this gold-painted tortoiseshell comb with leaves and berries of black lacquer from the Edo era. 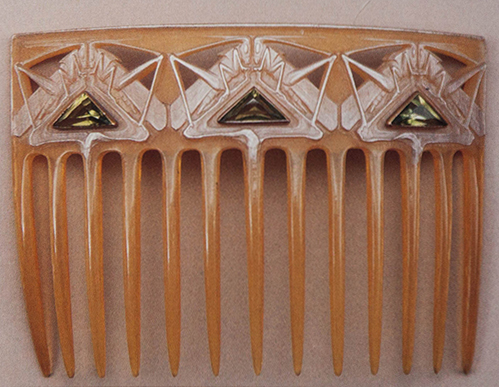 When Lalique made the comb, c. 1902/4, he used carved and painted horn, as well as three triangular green tourmalines. Whether he used cast-glass, enamel, jewels, or carved and painted horn, Lalique made these materials do new and different things. His jewelry was a watercolor of mirrored surfaces, reflecting plants and insects, and philosophically reflecting man’s negligible imprint on nature.